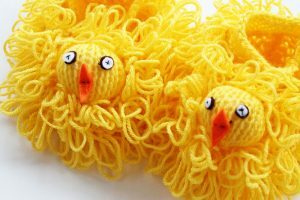 These Easter chick slippers are a great project to make and to give as a gift, I raided my yarn stash and found two balls of yellow yarn that had probably been there since last Easter for this project. I used 100% acrylic yarn (Delfino) that I bought for 1 euro each in a local yarn store here in Corfu, Greece. 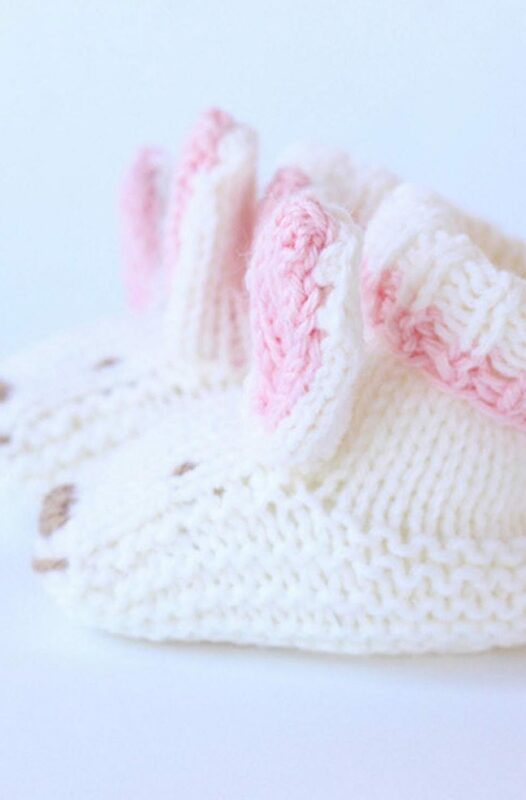 Any medium yarn that you want to use will work for these slippers, whether you want to use acrylic, cotton or soft merino baby yarn. Which Knitting Needles Do I use? 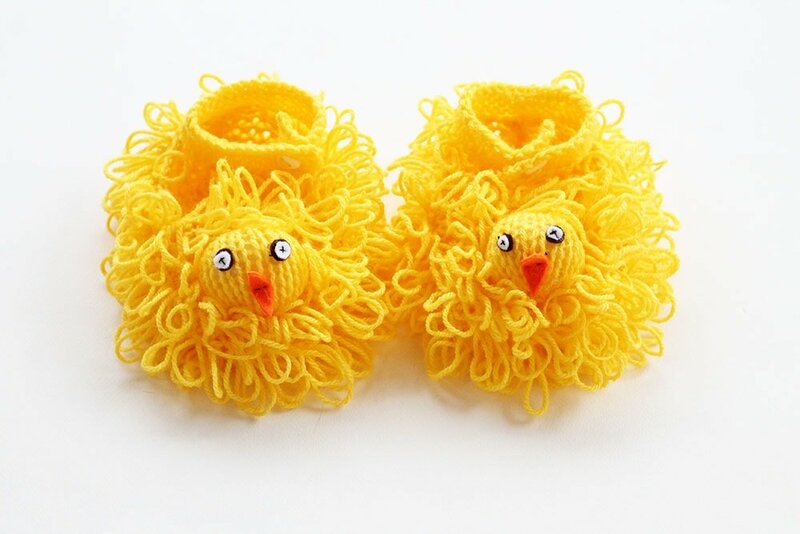 For baby slippers, I would recommend that you use size 3.75mm (US 5) or 4mm (US 6) needles with a yarn suitable for those needles. I used larger needles 5.5mm (US 9) as I made these slippers for a little girl I know in my village, who is 4 years old. If you make them for an older child, you can make a sole from felt to stitch onto the bottom, so that they can walk around in them without ruining the knitted sole. You create the loop stitch wherever you see ML in the pattern. 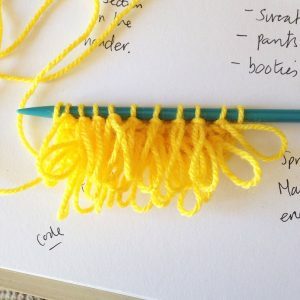 If you are not sure how to do this stitch, it is really easy once you know how! I have added a video tutorial for this stitch below if you need it. 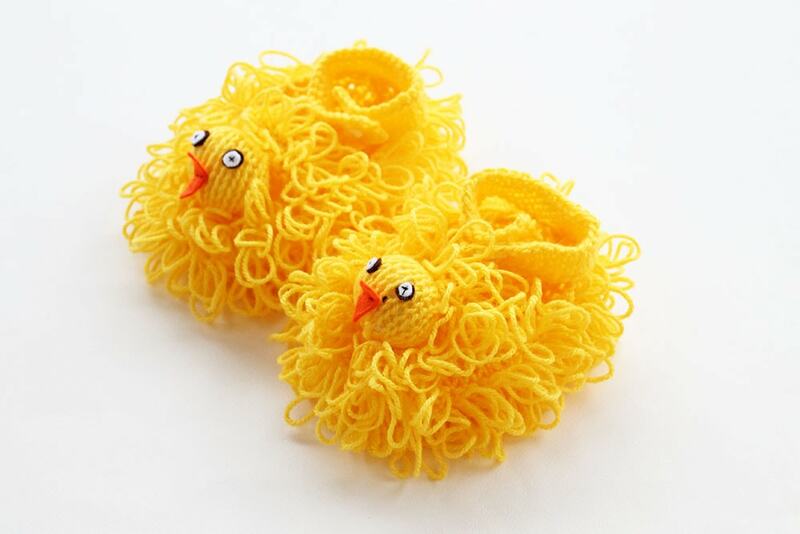 These Easter chick slippers will probably get lots of attention and I bet the kids will love them! The kid’s slippers pattern is easy to follow, knit flat on straight needles and then seamed. 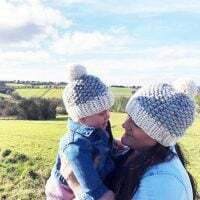 This pattern is great for any beginners who are learning how to knit, as it is a great project for practising garter stitch and how to create loops. This pattern is easy to follow, knit flat on straight needles and then seamed. 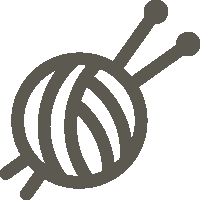 It is great for any beginners who are learning how to knit, as it is a great project for practising garter stitch and how to create loops. 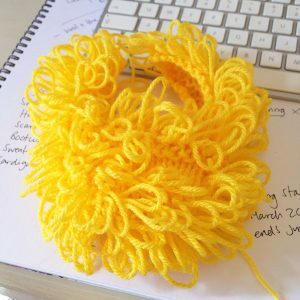 For the slippers, I used 2 x 50g balls of Delfino yarn 100% acrylic in yellow, suitable for 5.5mm (US 9) needles. The slippers were nearly done with one ball but I needed extra for the ankle straps and heads. 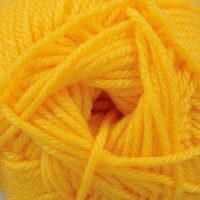 Any medium yarn will be ok to use. Felt – I used scraps of orange for the beak, brown and white for the eyes and stitched them on with black thread. Button for ankle strap fastening. Both slippers are the same – make 2 pieces. Rep the last two rows twice more. Work 9 rows in st st starting with a knit row, then rep row 2 again. Break yarn and slip those stitches onto a holder. Cast on 13 sts and with the right side of foot piece facing, pick up and knit 11 sts up right-hand side of foot piece. Then knit across the 11 sts on the stitch holder, then pick up and knit 11 sts down left-hand side. Row 2: Cast on 13 sts and knit 1 row. (Work 5 rows) -> Knit in st st for 5 rows and inc 1 st at each end of the first row and each following alt row. (Work 5 rows) -> Dec 1 st at each end of next and following alt row. Fold the foot at the center of the cast off edge and using mattress stitch join the seam along the sole and up the back of the heel. 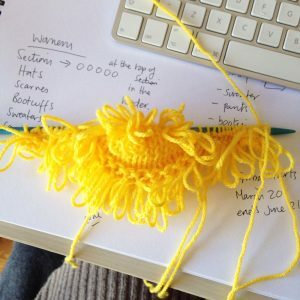 Run a drawstring around the edge of the head and pull tight, stuff with toy stuffing and stitch closed. Sew the head to the st st patch on the top of the slipper. Attach the eyes and beak from felt and make sure they are sewn on securely. Sew on a button to the ankle strap and stitch to the back of the slipper as you can see in the photographs. 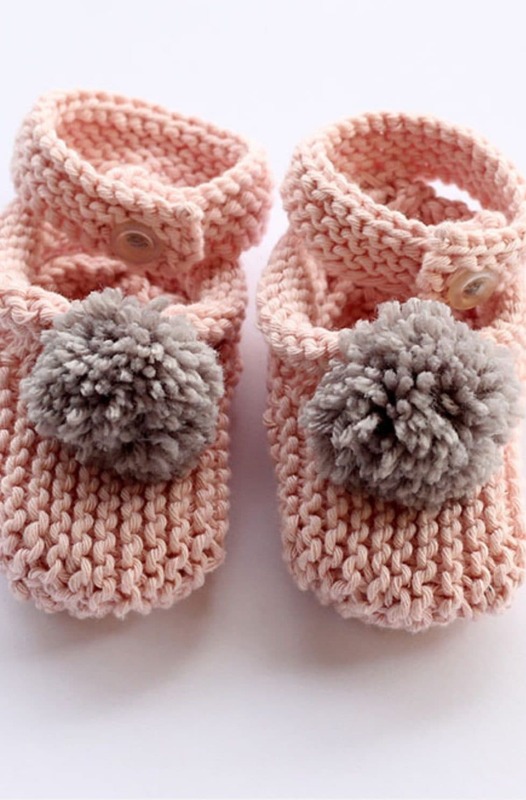 *Please note* – Go up or downsizes depending on the size slipper you want to make – for example for a baby 0-3 months or 3-6 months, you would want to use size 3.75mm (US 5) needles paired with a suitable yarn (like 4 ply) for that size of knitting needle. 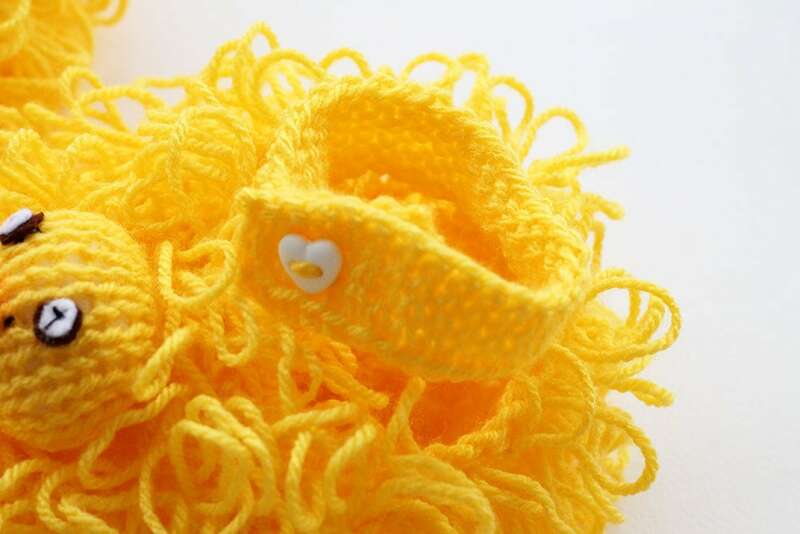 For this pattern, you will need to know how to knit the loop stitch. It’s really easy once you know how just take a look at the video tutorial. If you enjoyed making the slippers, I’d love to see yours on Instagram, be sure to tag me @handylittleme.